It will increase product reviews, improve customer satisfaction and also increase sales! With this module you will build a strong relation with your customer by reminding your clients to review their products, not only you will gain more visibility on your products with every review, but it will increase the customer trust for your products, as they visit you product page with a increased number of reviews. You can also reward customers who wrote reviews with personal coupons/discounts, therefore increasing sales as well! This module is a complete solution to increase product reviews for your shop, is extremely customizable yet simple for you and your customers. You can choose to offer a reward voucher to the customer if he wrote a review. 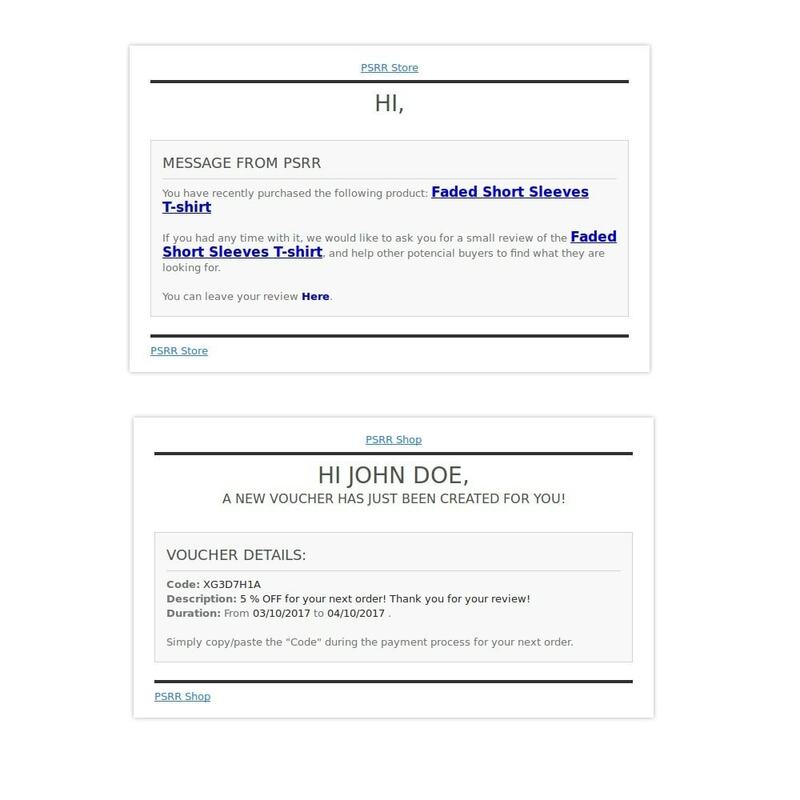 The customer will receive the voucher code and details through email, he can use it on his next shopping cart. 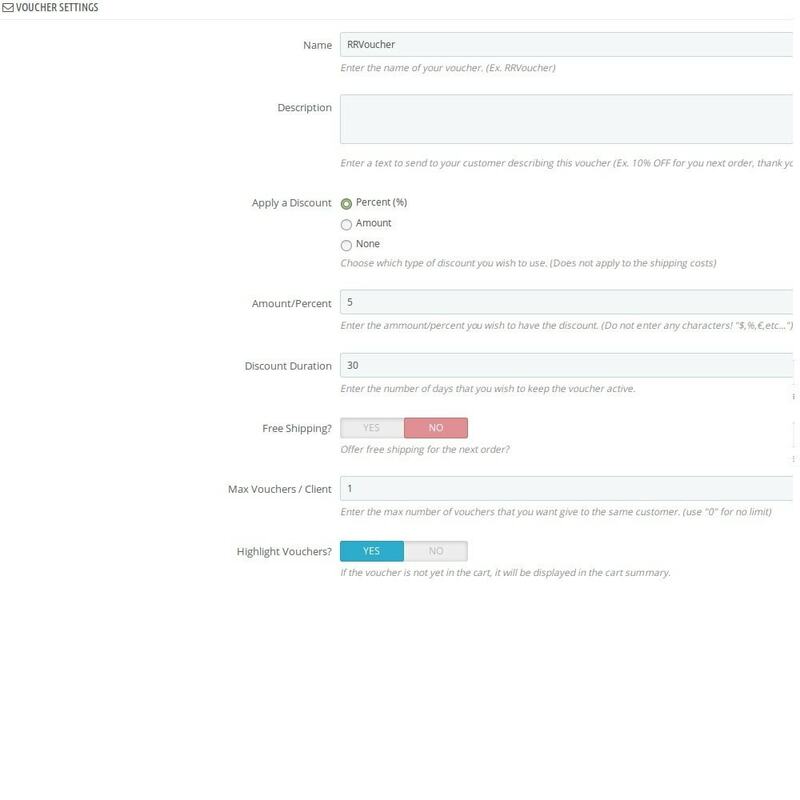 Each notification have its own email template, and they can be easily changed on Prestashop's default email template editor. 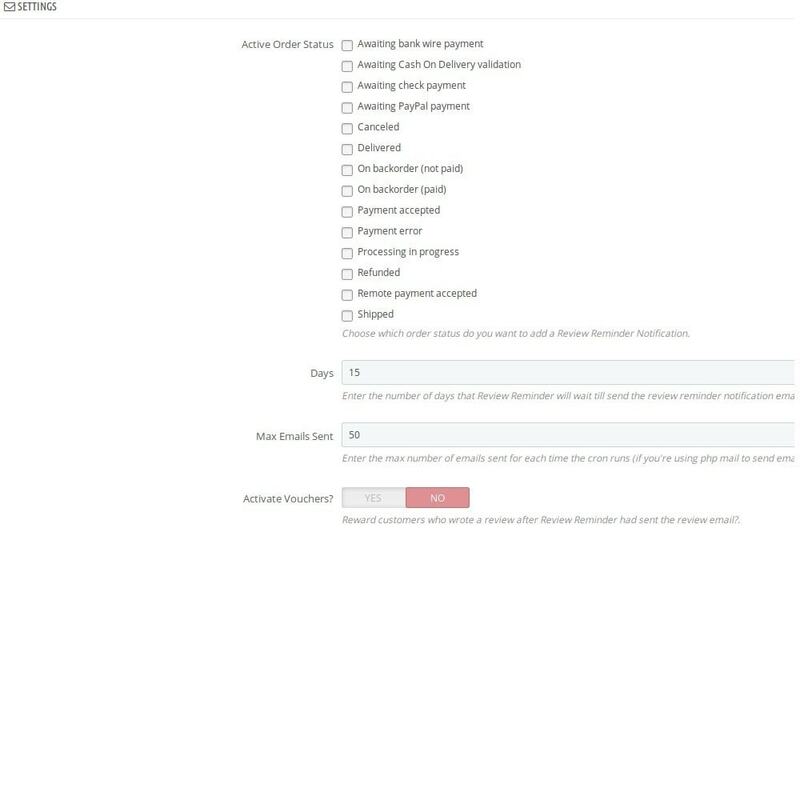 You can find it on your prestashop's backoffice on "Localization > Translations" and choosing "Email templates translations" on type of translation dropdown. 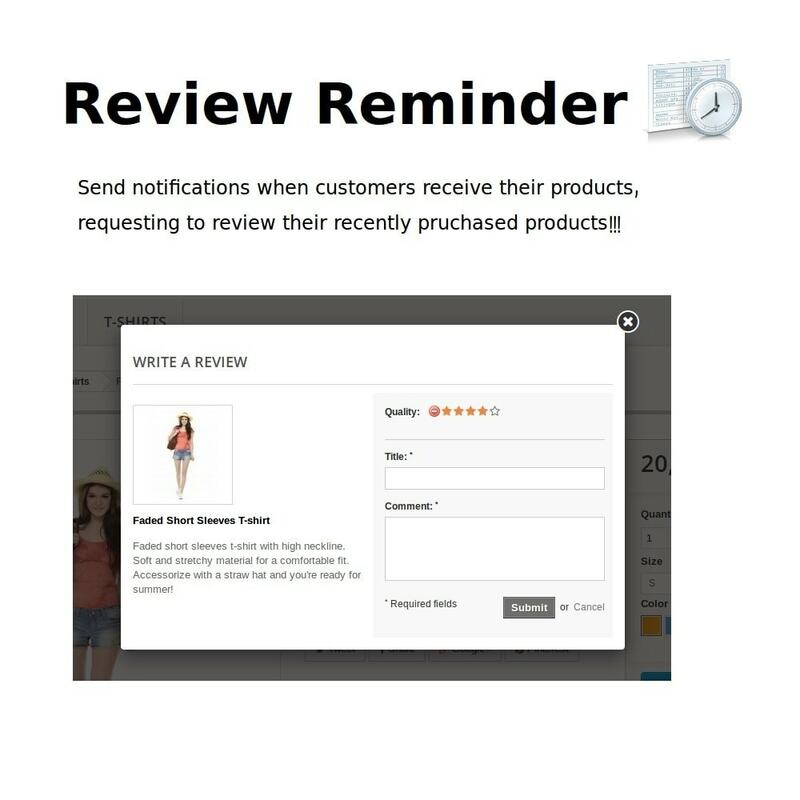 It easiear for your customers to review their products, they only have to click on the personalised email link and voilá, they will be redirected to the product comments form, ready to write a their own review. Automatically reward customers with vouchers/discounts as they wrote their reviews!